Tomorrow night, Brock Evans speaks at the Doug La Follette Environmental Speakers Program. As an activist on the forefront of the environmental movement for fifty years, Evans offers compelling insight about why he remains an optimist and how we can all make a difference. This is tomorrow from 6 to 8pm at the Fluno Center, 601 University Avenue. This event is free and open to the public. RSVP to Jake Immel at 608-251-7020, extension 23. 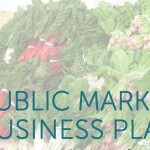 A full draft of the Madison Public Market Business Plan will be released this week and available on the City of Madison website. There are several upcoming opportunities for folks to share ideas and feedback. 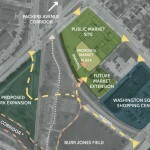 Tomorrow at 6:30pm at 100STATE, 30 West Mifflin Street, there will be an interactive discussion about the Public Market. RSVP at: publicmarketsoiree.splashthat.com. On May 26th, there will be a community meeting for folks to share feedback on the business plan. And on June 3rd, there will be a meeting for prospective vendors to discuss market details. For more info and to RSVP, visit cityofmadison.com/publicmarket.